Senior Shannon Turner of women's track and field was NJIT's recipient of the New Jersey Association of Intercollegiate Athletics for Women (NJAIAW) Woman of the Year award. Turner was among the guests of honor at the 27th Annual NJAIAW Woman of the Year luncheon held at Seton Hall University Sunday, Feb. 3. Following the luncheon, each winner was recognized at halftime of the Seton Hall women's basketball game against Butler. Award winners were chosen by their institution's athletics department based upon athletic excellence, academic success and citizenship/community service. More than 150 high school student athletes, as well as junior and senior college student athletes earned the award in 2019. Turner, enrolled in NJIT's Albert Dorman Honors College and Newark College of Engineering, is on target to graduate in May 2019 with a Bachelor of Science in Chemical Engineering. The Highlander senior is a two-time ASUN Conference All-Academic team honoree and boasts a 4.0 GPA. 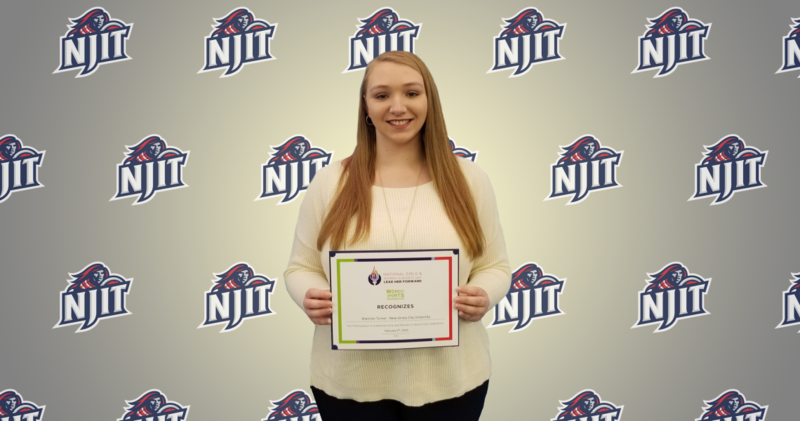 President of NJIT's Student-Athlete Advisory Committee and lead ASUN Conference Representative, Turner was named to the dean's list from Fall 2015 to Spring 2018. Turner is a recipient of the Donald F. Othmer Sophomore Academic Excellence Award (2016-2017), Joseph M. Fitzgerald Memorial Award (2018), member of the Chi Alpha Sigma and National Society of Collegiate Scholars.